We worked with author B.A. Shapiro as well as her publisher, Algonquin Books, to create her author website. 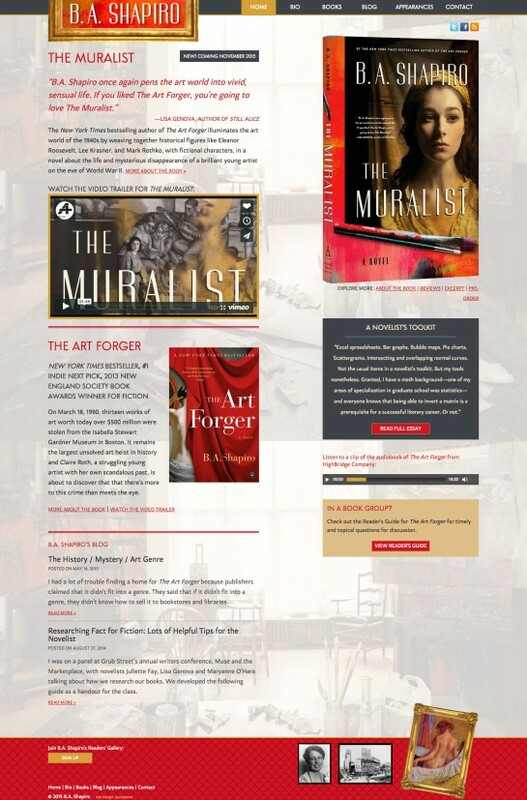 It was first designed around Shapiro's novel, The Art Forger, and then re-designed in 2015 for her newest book, The Muralist.